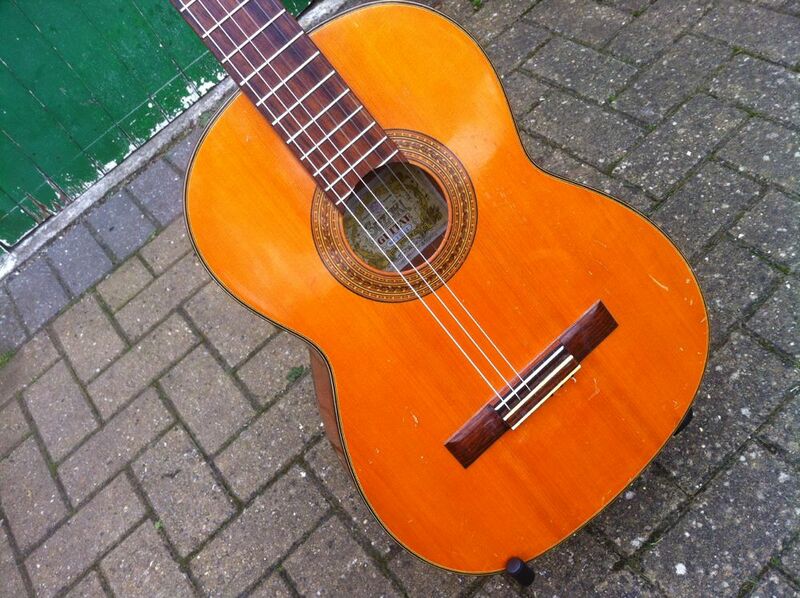 1970s Suzuki Nagoya 1664 Cedar Top Classical Guitar. 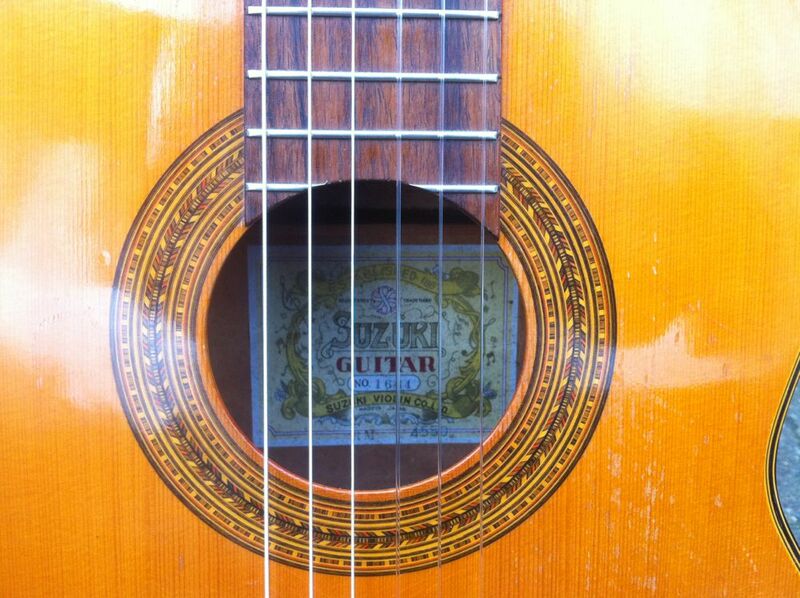 Very nice early 70s Suzuki classical. 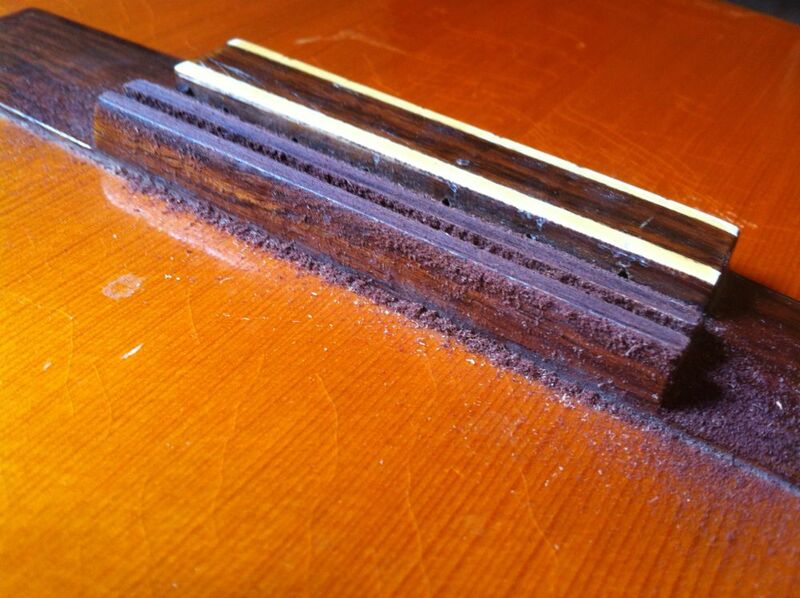 Has a solid cedar top and a really rich deep sound. 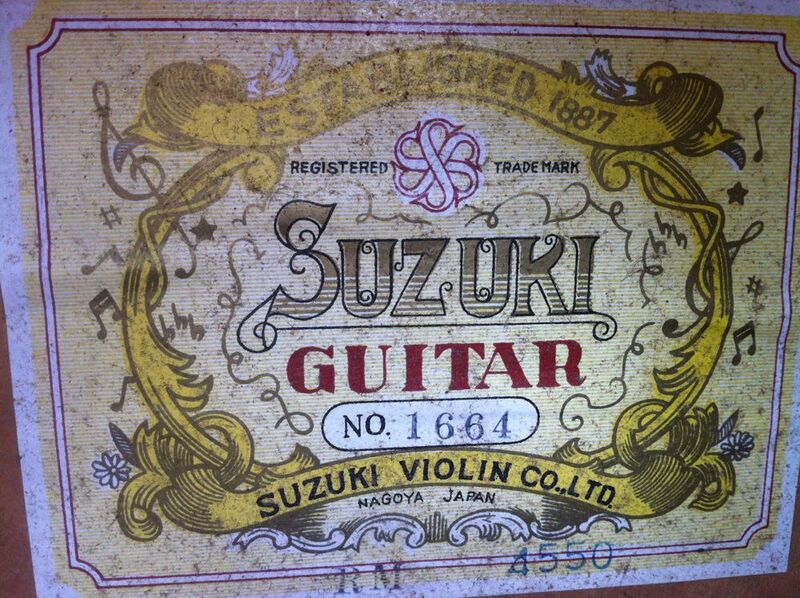 The Japanese really made some great guitars in the 70s and this one is no exception. 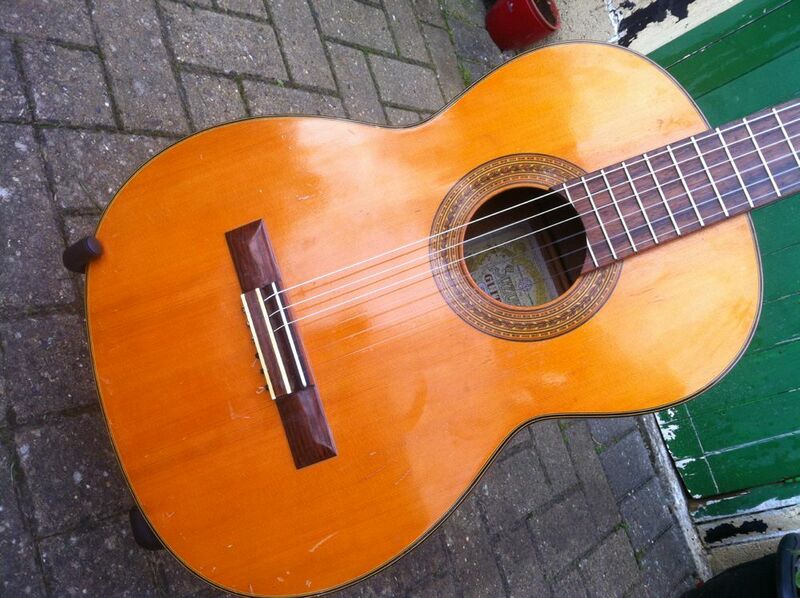 You can pick these up pretty cheap (£50~). 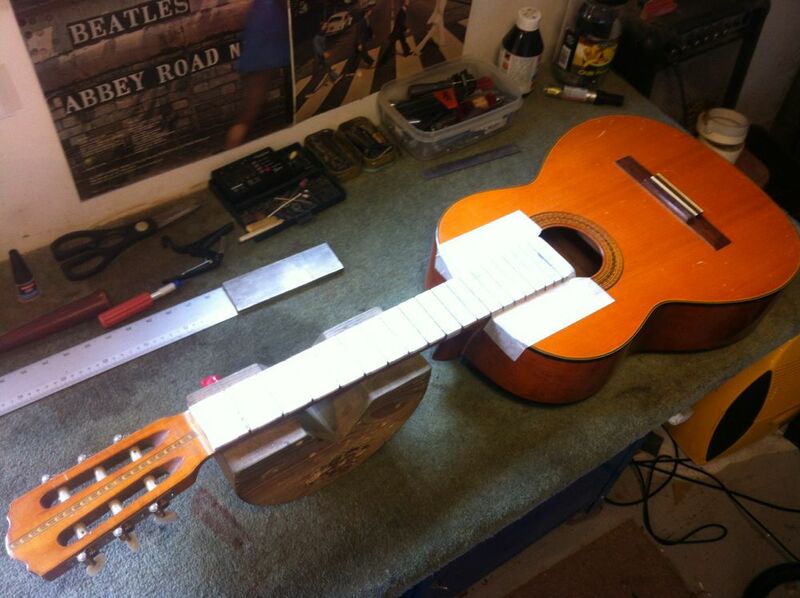 A great campfire guitar. 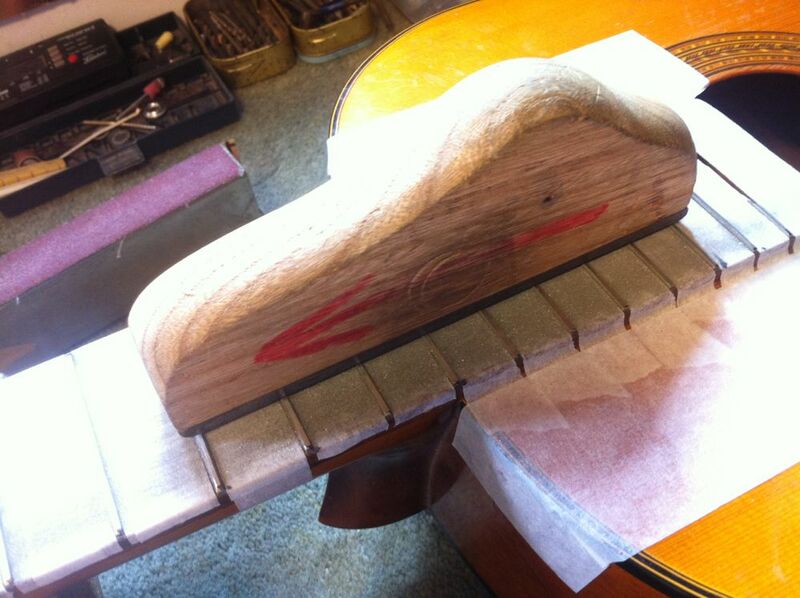 The guitar needed a fret dress and some further work to address a slight hump at the 14th fret. 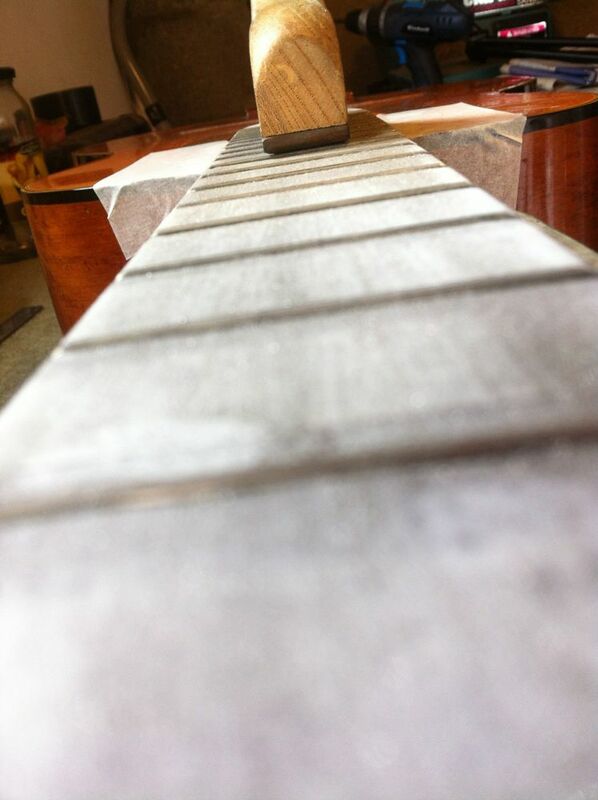 The lower the relatively high action on this Suzuki, some work was required to the rosewood bridge. 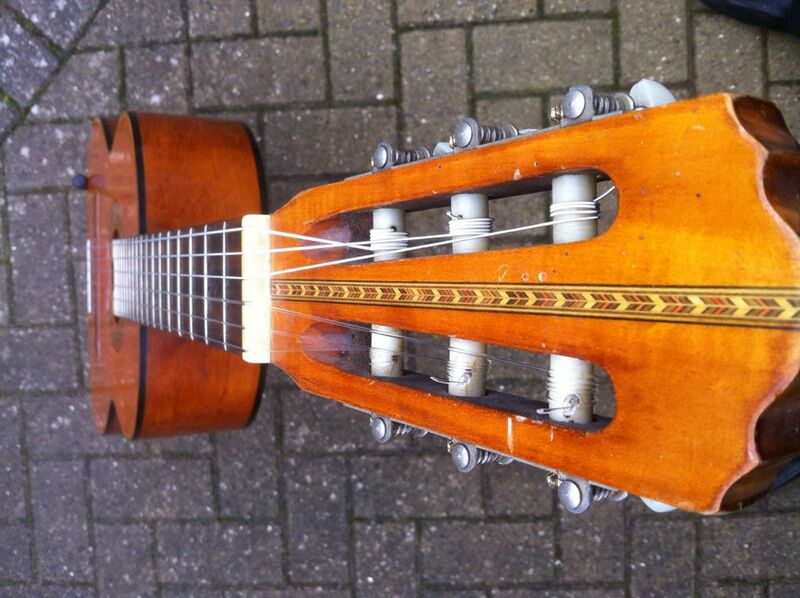 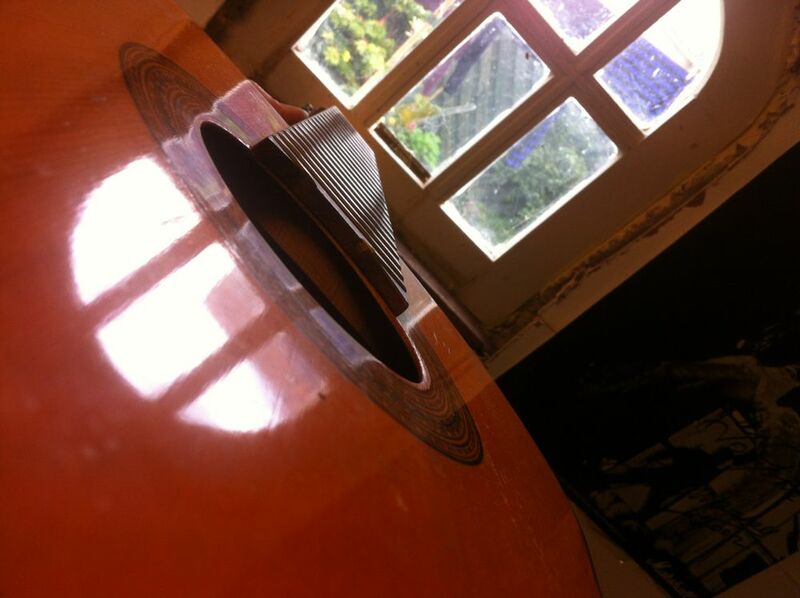 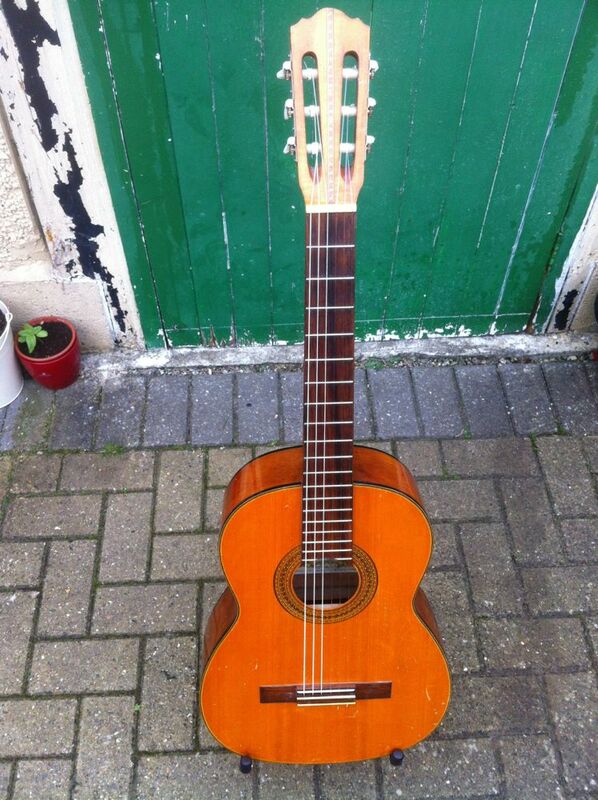 This guitar was fitted with ball end Martin Darco Classical Nylon strings. 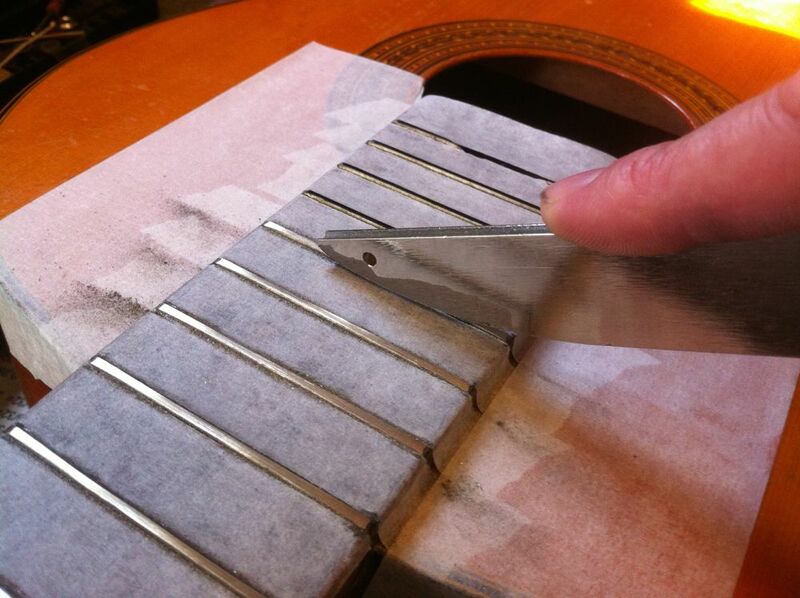 Because they are ball end strings there is no needs to hassle on with fisherman’s knots at the bridge.